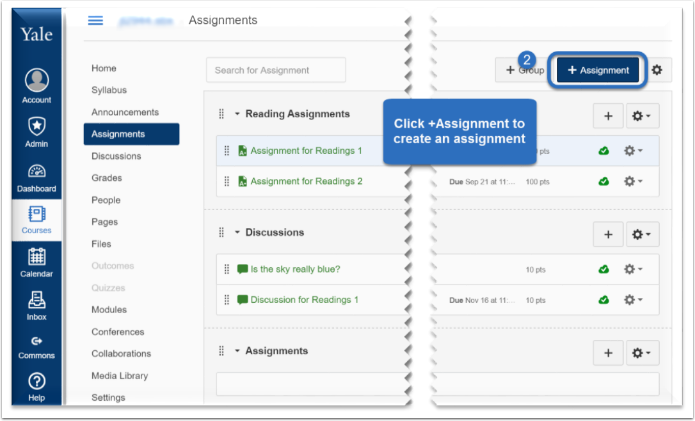 Canvas @ YaleInstructor Guides AssignmentsHow do I create Media Recording Assignments? 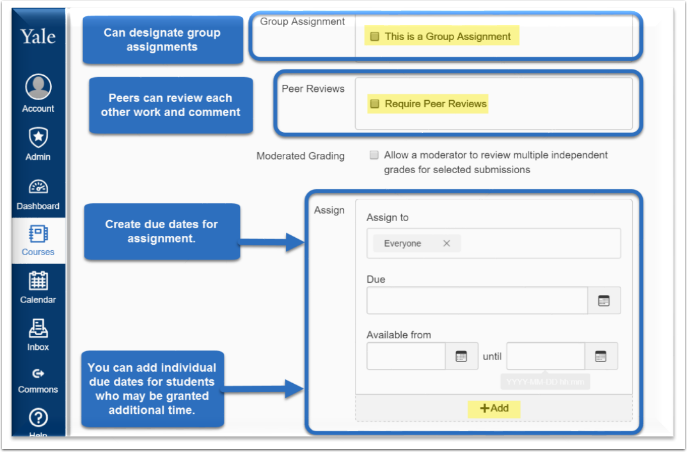 Under the "Submission Type", select "Online". 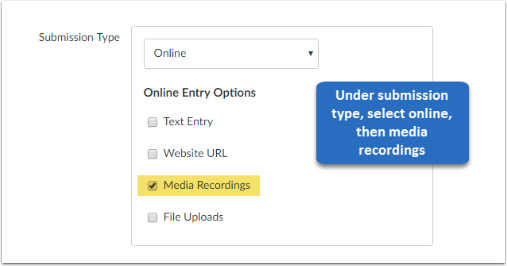 When you see the additional options, select "Media Recordings." Complete the rest of the form selecting the appropriate options. How do students complete their Media Recording assignment? 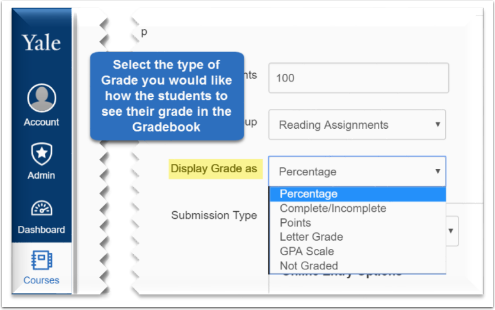 Prev: How do I Grade Assignments?